We live in a digital world where digital content holds a significantly high value. Videos, images, infographics, and podcasts are the common types of content that are used almost daily. Whether you need to present a business proposal or you have to present a graduate thesis or you want to post something on a Facebook page for the fans, it cannot be done without videos. Videos convert 134% better than other types of content. It gets easier to grab the attention of the audience with videos. This is one reason why as high as 50% of the people use YouTube to see business-related videos. Videos can spice up the presentations, they can let you deliver the message promptly, and above all, videos do not bore the audience. What’s better than using an Full-HD 1080p quality video in your next presentation? YouTube has videos on anything and everything. Want to learn programming, there are hundreds of videos on YouTube. Want to service your ride, there are videos on YouTube to guide you. Unfortunately, videos from YouTube cannot be downloaded – at least not without help of third-party services and software utilities. You have to use an add-on to download videos, there are tons of them available in the market but let’s not waste time on talking about each of them. Easy YouTube Video Downloader is the only tool that lets you download super crisp Full-HD videos with perfect 1920×1080 resolution. 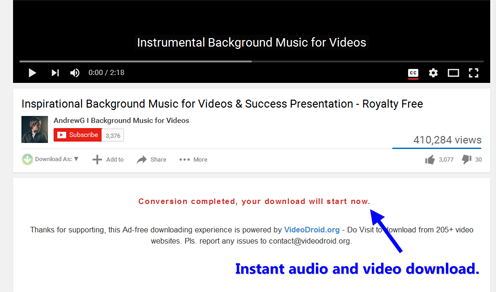 It is free, easy to use, easy to install, and lets you download videos in a whole bunch of formats and qualities including high-quality MP3 format for stunning background audio for your presentations. This tiny tool is your best partner for whatever you do on daily basis. FlipBuilder is a powerful PDF converter that converts PDF into eBooks, presentations, digital magazines, Word, and into several other types of files and formats. 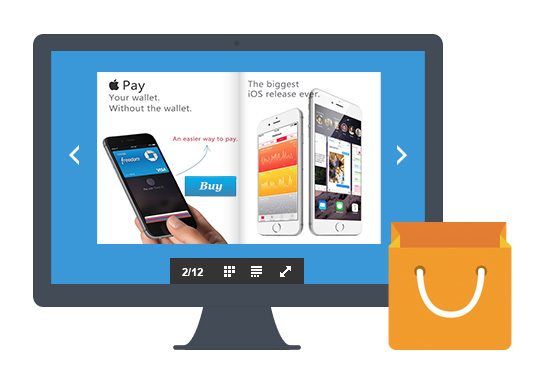 Create presentations with Flipbuilder. 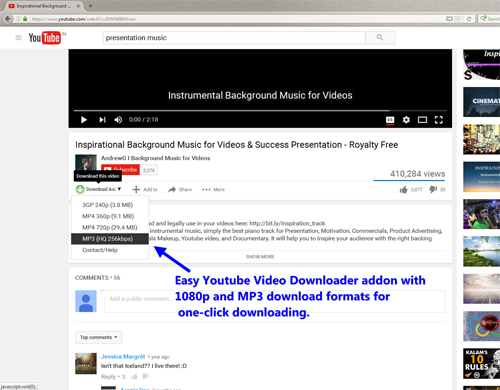 Use Easy YouTube Video Downloader to convert a video into high quality mp3 audio file or 1080p video and use it to power-up the presentation. It is one of the easiest ways to impress your peers and supervisor in the office, and to get good grades in the school. As long as you have access to the free Easy YouTube Video Downloader, downloading high quality videos is not a problem. You can download HD videos and high quality audios from YouTube for offline use. Save videos on your smartphone, on the laptop, or on an external HDD and enjoy unlimited access to YouTube on the go. You don’t need an internet connection to stream YouTube anymore. Download your favorite videos, save them, and watch them anytime. Downloading and installing Easy YouTube Video Downloader is not a pain. Click here to download the extension for your browser at no cost. The extension will be downloaded in a few seconds for your preferred web browser. You will now see a button with every YouTube video “Download As”. 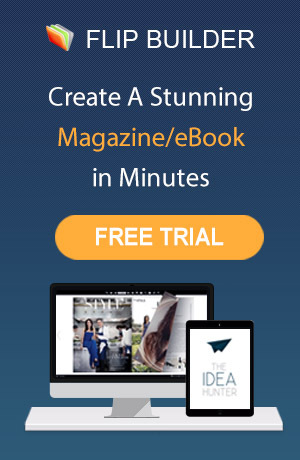 Click on the button, choose the download format and quality, and sit back. All it takes is a minute or two to download the video. This is the easiest and the best YouTube video downloader that will double the fun.